How to find airfare deals. 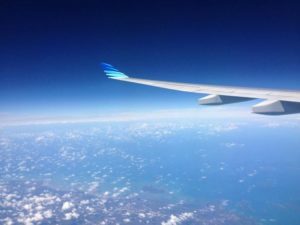 So you’re planning that special trip away, but how do you get the biggest bang for your buck when buying those flight tickets for the plane trip portion of the journey? Like anything worth doing, finding the best airline flight deals takes a bit of planning. Timing of your plane trip. If your timing is flexible then use this to your advantage. If you have some flexibility around the timings of your trip, you can use that to your advantage. Travelling in off-peak times means you won’t be paying premium prices. Airlines, like any other business, use the supply and demand principal to maximise their return. For example, during the week you will find that early morning and late afternoon flights rarely have cheap fares available because these flights are frequented by business travellers. The airlines know that these flights will be well filled, so there is no need to offer cheaper fares. So avoid these times if at all possible. Time of the day is therefore important. To find a cheap flight, other time factors are also just as important to consider. Times of the week also make a difference. For example, business travellers going to more distant destinations tend to go for the week. This means that Monday mornings and Friday afternoon/evenings are also peak times and unlikely times to find airfare deals. On top of that, you have weekenders departing on Friday evenings and returning on Sunday evenings. Other timings to consider in the search for your cheap flight ticket. Ok, so we’ve considered the times above that are unlikely to provide us with good airline flight deals. That is, of course, assuming we have also ensured we’re not travelling on a public holiday or around a sports or other event. In that case, all bets are off and prices go through the roof. If you are travelling internationally then that adds a whole extra dimension to the exercise. Not only should you consider peak times in your origin country, but also those of your destination country and countries you might be passing through along the way. For example, I once travelled to London with a stop in Hong Kong along the way. I thought I had covered all my bases, but still, I couldn’t find flight prices that I felt were a good deal. The reason I found out was that it was the end of the summer school holidays in the UK and many children attending boarding school in the UK were returning to London. Lesson learned. Having done our due diligence and decided on some dates that we feel are optimum for avoiding any peak periods. What next? Looking for a cheap fare doesn’t mean you have to travel on old aircraft. New state of the art airliners like the Boeing 787 Dreamliner, Airbus A350 or A380 are designed to fly more economically and therefore give the airlines the ability to be more competitive. Next, we need to find out what options are out there. Which airlines fly to our chosen destination? Also, another factor to consider and decide upon is, what class of travel we want to travel in. Talking about cheap fares, we may conjure up pictures of backpackers travelling on ancient aircraft stopping in 25 mountain villages along the way, just to save a few coins. Not necessarily so, unless of course, you want it to be. 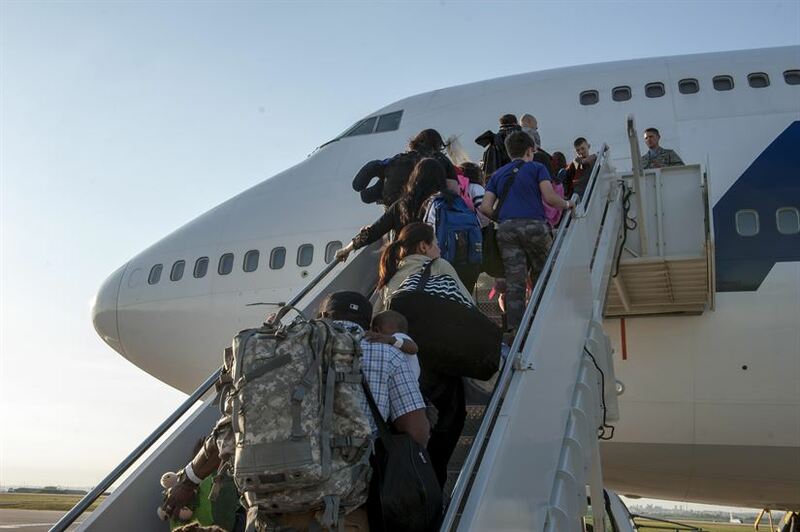 A cheap flight ticket can be any ticket that is a good deal for the service you receive. So whether you want to travel first, business or economy class, the principle is the same. Airlines put out deals on flights that they are having trouble selling. So decide at the outset what level of comfort your budget will allow for. The class decided, we start our search. To start, go to neutral online travel agency sites that sell all airlines equally. Well, that is perhaps a little naive. Even online travel agencies have preferred airlines they sell due to higher levels of return for them. With this in mind, still perform some searches on those sites. This will give you a feel for which airlines are relevant for the route you wish to fly. Also, another handy tool is Google Skyscanner. You can perform searches as you can with online travel agents and find out which airlines fly and which fares are currently on offer. You can even set up alerts so that when prices change from your preferred options you will receive an email. This can be handy in case you forget the check back and a special is released. 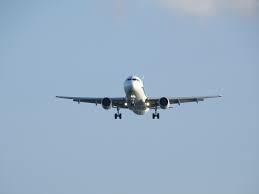 Once you have ascertained which airlines are relevant to your requirements, visit their websites as well. I would recommend subscribing to alerts from them so that you get to hear about specials as they start or even before they start. A special fare doesn’t mean that all seats on that airline for that route will be sold at that price. 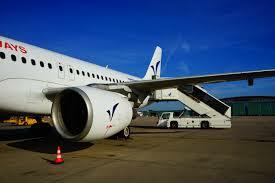 Airlines work overtime to control yield and special fares will be allocated on flights depending on their popularity. On a peak time flight, even during the special fare period you will, in all likelihood, find no special fares. On less popular travel times, however, you will find those fares. Airlines review these constantly and will adjust the number of special fare seats up or down depending on how sales are going. Special fares work much the same as loss leaders work in other industries. For example, in your local supermarket, you see those items at the end of the aisle facing the front door being sold very visibly at knock-down prices. These items can be sold at a loss because they get people in the door and put them in a buying mood which they know will in most cases lead to sales of other items sold at the normal price. If airlines did not fill their flights with cheaper fares then it would cause them to lose money as those flights still have to fly, empty or not. get people onto their website. Once there they have this idea that the prices are nice and low today, they will look and see that the special deal fares are available on flights that they don’t really like the timings of, so they look at the next fare up to see if there are better options. In their minds they have already spent the amount of the special fare and they then see the difference between that and the not so special fare as the actual amount they are spending, which doesn’t seem so bad. Boom, the airline’s plan worked. The message here is don’t lose sight of the bottom line. If you find the special fare is not giving you what you need, back out and keep the research going, unless you are happy with the new option you have found. Where should I actually buy the fare? This is a good question and no one answer is right. The travel industry can vary somewhat from country to country, but one thing you can count on is that it isn’t straight forward. We talked about online travel agency websites. These are great for seeing which airlines are the ones you should be shortlisting as logical options for the route you will be travelling. Should you buy from these websites? Well, that depends. The travel agency needs to make money obviously, so how do they do it. Once again there is no straight forward answer to that. In years gone by there was a standard procedure where a travel agency sold an airline seat and the airline paid them a commission of X per cent. Easy. Now, not so much. Very few airlines are now paying commission to travel agents. Let’s take a look back a few decades. Back in the early days of travel, we didn’t have the technology we have today. In fact, it was the airline industry that was at forefront of driving the development of computer networking. But that is an aside. In those early days, travellers had to come into an airline office to pay for their tickets. Of course it was not possible for an airline to have offices in every town village or city, so enter the travel agent who literally acted as an agent for that airline and collected money on behalf of that airline, and of course others. Now enter the online age and all of a sudden airlines can actually be everywhere. As a result, they, for the most part, have decided to stop paying those commissions that travel agents relied upon for so long. Travel agents and airlines used to have a good working relationship as airlines couldn’t logically have an office in every town. So who pays now? This is also not a single answer question. In most cases you, the traveller, will pay a fee. So for the travel agency website you may well see some cheap fares but beware of the fees at the end, they may well undo the advantage you gained by finding a cheap fare on their site. However, don’t discount using these agency sites. Some travel agencies have such high brand recognition that they can command respect from the airlines due to the high turnover of travel sold on their site. In a case like this, an airline might offer the travel agency net fares which are far below even what the airline is selling them for. The travel agency will mark them up and the mark-up will be their profit. They will mark them up to such a level as to ensure a good return but remain at a very competitive level. So, in short, there is no recommendation as to which is better, the travel agency site or the airline site. It really is a case of who comes up best on the day. It is definitely worth doing your due diligence. So we’ve looked timings and the source of the special fares. One more thing that is worth considering is the routing of your flight. You will these days have seen that modern airliners are breaking all sorts of records in long-haul non-stop flights such as Perth to London, Singapore to New York, Auckland to Dubai. The list goes on. Yes, these can save a lot of time and if time is a concern then these are a great solution. If however, time is not so important and you don’t mind spending a few extra hours getting there, then check out services that do have stop-overs along the way. For example, I used to travel to Europe from Sydney fairly regularly and I would choose to fly a carrier via Dubai. I had the option of the Sydney direct to Dubai, changeover and then on to London. Instead, I chose the option that touched down in Bangkok for an hour or so on its way to Dubai. It took a couple of extra hours but I enjoyed a cheaper fare, as it was less popular with those in a mad rush, and I had the opportunity to stretch my legs and get some real air along the way. It comes down to personal preference but there are opportunities to save. I hope this has been some help. By all means, we would be happy to hear your ideas on how to save on your travel spend. Flight mode, why do we need to use this when we fly?